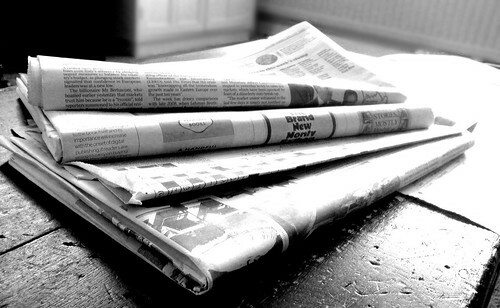 Press releases are a way for companies to share information with news mediums. Press releases are usually only one page in length and they can be sent to other mediums either in hard copy or electronically. Press releases are a great marketing tool because they help your company get information in front of a large audience. If you send your PR to a newspaper and they decide to publish it, whether in print or online, your news is now being shared with their audience. You can’t simply throw some information down on a piece of paper and call it a press release. This type of marketing collateral requires a certain format and needs to include a specific amount of information. The following are a few tips on how to write a press release. 1. Create and engaging headline. The headline is the first part of your PR that people will notice. It needs to give them insight into what the PR is about as well as entice them to read further. 2. Write the body copy. When you write a press release, it will appear exactly as you wrote it, so you want to make sure that it makes sense. Always start with the date and the city and state where the release originated. The first paragraph should give the who, what, where, when and why of the article. This needs to say directly what is taking place, and it should do this in 2-3 sentences. The first paragraph of a press release should sum up what happened or is happening, and the remaining body copy should just elaborate on the first paragraph by giving more details. The rest of the body copy needs to be succinct. Sentences should be short and use easy to read language. The point of a press release is to make people aware of something, not to impress them with fancy language. Press releases are more effective if they include a quote from an important person at the company, usually a CEO or department head. This gives the press release more life instead of bland content. 4. End with information about the company. The last paragraph of every press release should end with a summary of your company. This will let readers know more about your company and your products/services if they don’t know who you are. If the press release involves another company (for example, if you won an award designated by another company), you will also want to include a paragraph about that company at the end. If someone comes across your press release and they have questions or they want more information, they need a way to contact you. Always include a phone number and email address as well as a specific contact at the company that people can reach out to. Once you write a few press release, they become easier to create. Just make sure to create a great headline and keep the body copy short and to the point. This will make your PR easier to read and give people the basic information they need to know.